You may encounter an issue where a campaign or funnel couldn't be created. This is usually because they already existed or were archived. 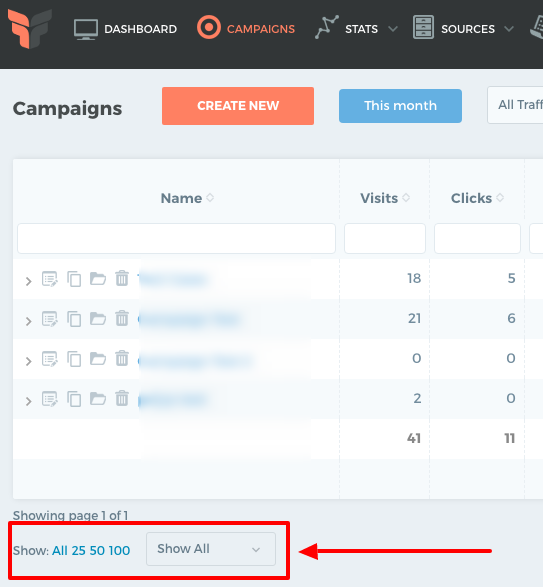 To view all the campaign and funnel items, at the bottom of the page where you can select the number of items to show, select the option"Show All". "Show All" will show all the elements including the archived funnel or campaign. Note: This also applies with Landers, Offers, Offer Sources, and Traffic Sources.